All eyes and ears will be on the Vatican during an unprecedented gathering next week to discuss the protection of minors in the Church. Source: CNS. When Pope Francis announced the February 21-24 international meeting in September, it sparked an optimistic note that the global problem of abuse finally would be tackled with a concerted, coordinated global effort. But the Pope tried to dial down what he saw as “inflated expectations” for the meeting, telling reporters last month that “the problem of abuse will continue. It’s a human problem” that exists everywhere. 2. Organisers hope that by listening to victims and leaders who have learned things the hard way, participants will be inspired to adopt a culture of accountability and transparency. 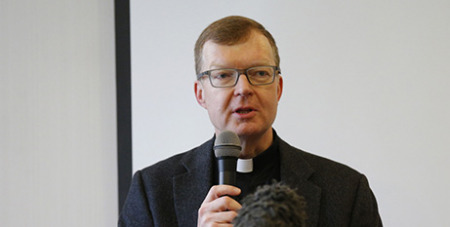 Further measures will be taken after the meeting, organising committee member Fr Hans Zollner SJ has said. For instance, a task force made up of child protection experts “will probably be instituted in the various continents” to help bishops create, strengthen and implement guidelines.